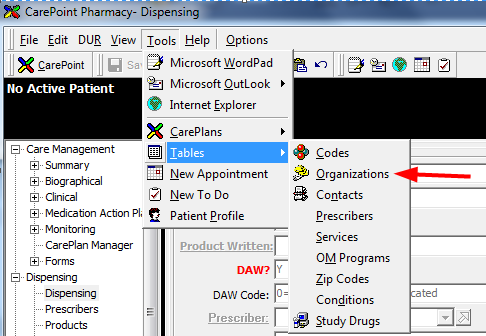 To input this code in for an insurance, from the Dispensing screen go to Tools>Tables>Organizations, and select the insurance you are submitting to. 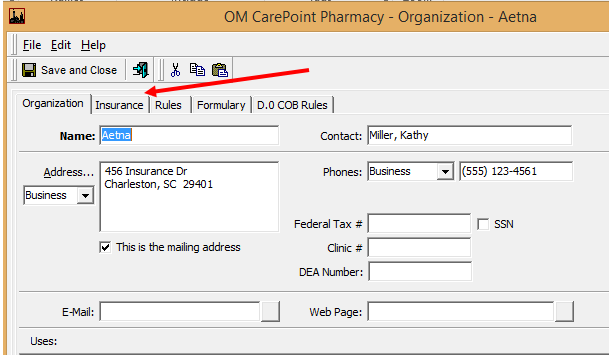 Once you open an insurance plan, select the Insurance tab. 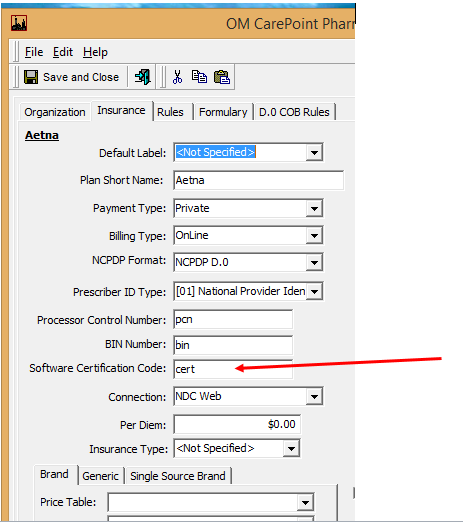 When viewing the Insurance segment, look for the field Software Certification Code. Input the code in this field. Save and Close, then resubmit the claim.